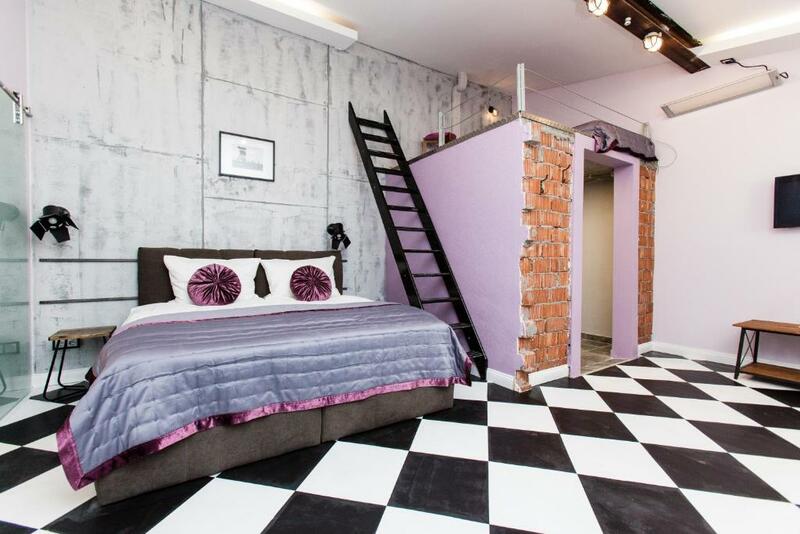 Unique design of this apartment. Very comfortable. Adorable place! Cozy, comfy beds, super clean, and an equipped kitchen, right next to a bus stop. I loved it! It felt like home away from home. The apartment was clean and intresting designed. Warm and nice. the staff was friendly and helpfull. Apartments are clean and new and very nice design furnished. There is everything You may need for stay. Recommended for sure! Always quiet and clean. comfort. There is a bus stop right beside the hostel and you can get to the central station in about 15 minutes. The kitchen is all equipped and the host is friendly. I was able to stay without any discomfort during my stay. I will use it again if I come back to Essen. 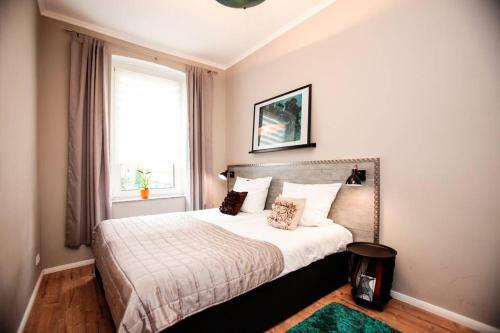 The apartment is in an old buiding but fully renovated and amazingly decorated! Just a short walk (20 min) from the city center. The hosts are very nice people and made us feel like home!! Fully recommended!! 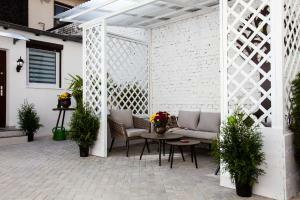 Good location on walking distance (15 min) of the city center. We had 2 rooms for 5 persons. There is a Lidl close by to get food. Appartement was clean. Beds were fine and a good shower. 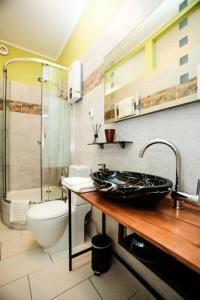 Well furnished and very clean, lovely space. Host was extremely helpful and polite. Fantastic value for money. The furnishing were contemporary and extremely stylish. The apartment was also very quiet, which made it easier to sleep. Very nice appartment just outside the city center. We stayed with three people; an older couple with an adult daughter who slept on the couch-bed which was fine. Free parking in front of the building. We went to Zollverein Coal Mine Industrial complex and had a great time. Lock in a great price for 3 Äpfel Design Apartments – rated 8.9 by recent guests! One of our best sellers in Essen! 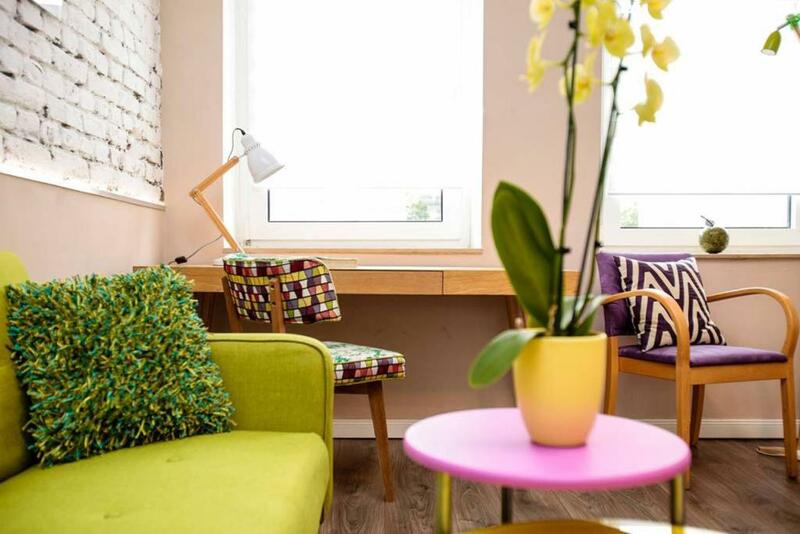 Located central Essen, these self-catering apartments boast traditional high ceilings and wooden floors, and are just 0.6 mi from the Old Synagogue Essen and the GOP Variety Theater Essen. The Main Station Essen is 0.9 mi from the property and free WiFi is available. Unique decorative features and warm colors are found throughout these apartments, which offer guests a flat-screen TV and a washing machine. The bathroom comes with a shower and a hairdryer. Thanks to the fully equipped kitchens, guests will find everything they need to prepare home-cooked meals, including a microwave and a fridge. There are numerous shops, cafes and restaurants within 10 minutes’ of the property. The Zollverein Industrial Complex is the city's most famous landmark and just 2.5 mi away. Visit the Cathedral of Essen or enjoy an evening of culture at the Grillo Theater, both 0.9 mi from 3 Äpfel Design Apartment. Free parking is available at the property and Dusseldorf International Airport is 19 mi away. 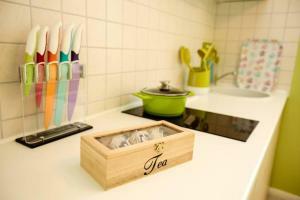 When would you like to stay at 3 Äpfel Design Apartments? This apartment has a microwave, flat-screen TV and washing machine. The bed can be used as a double or a twin bed. This apartment features a flat-screen TV and a washing machine. This apartment features a stovetop, electric kettle and washing machine. 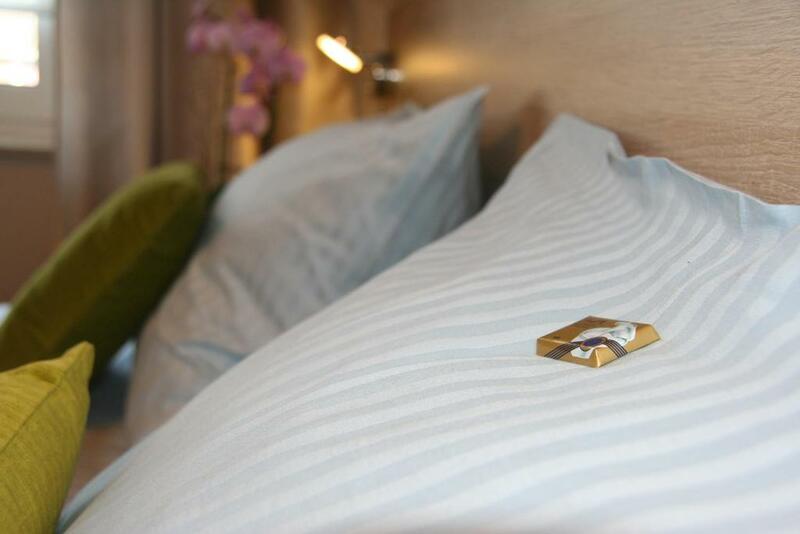 House Rules 3 Äpfel Design Apartments takes special requests – add in the next step! 3 Äpfel Design Apartments accepts these cards and reserves the right to temporarily hold an amount prior to arrival. 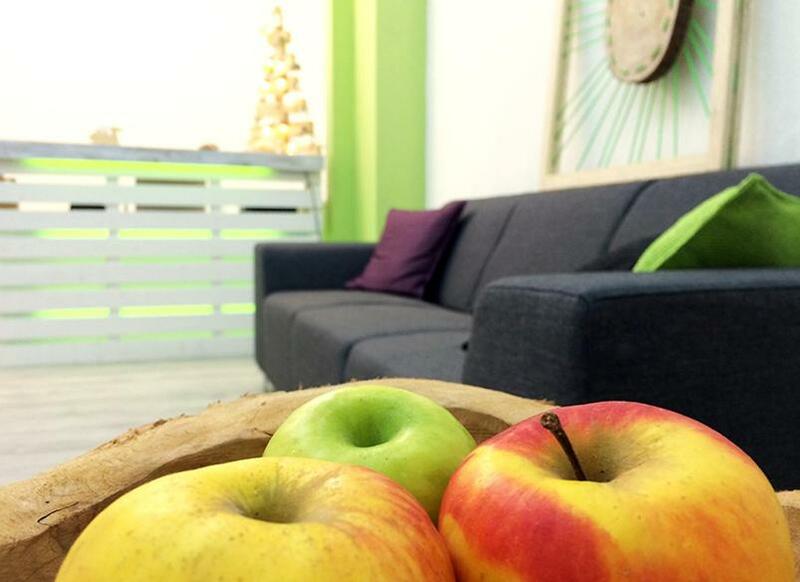 Please inform 3 Äpfel Design Apartments of your expected arrival time in advance. You can use the Special Requests box when booking, or contact the property directly using the contact details in your confirmation. The bed could have been a bit better; it was a bit soft. There is not anything I don't like for the value and quality of this apartment. No lift! A bit expensive. No restaurant in the property to have a breakfast or dinner or even any other light meal or drinks . Meanwhile the kitchens are fully equiped. Wifi was sketchy, sometimes not working at all (we were staying in the annex, this may be better in the main building). The dining table was unstable. Tip for the host: More info on separating garbage for recycling would have been welcome, and some extra dish and bath towels, since we were staying for a whole week. I would have liked to meet the hosts, although they did answer questions via email. But then I could have made these comments in person. Nice design and colours, spacious room and bath, good beds, adequate kitchen, excellent shower. The location is quite far from the center (15 min walk), but with a bus stop very close by. The street was very noisy at night. A bit overpriced, but this was probably due to the Christmas market. Missed cleaning equipement to clean up after breakfast dinner, like soap, towels, dishwashing brush, etc. Not particularly easy to reach, 15-20 minute walk from Essen Hbf train station which didn't bother me much. A little noisy due to other residents/visitors above and next door but not too bad at all. Cleaner randomly appeared in my room and woke me up at 7am after my first night's stay but was extremely apologetic and was quickly on their way!